Folly du Jour by Barbara Cleverly, a Joe Sandilands Mystery, 2008. It's springtime in Paris, described as the Jazz capital of Europe, and mischief is afoot. Deadline in Athens, by Petros Markaris, translated from the Green by David Connolly, 2004. An Inspector Costas Haritas mystery, a series written in Greek and set in Athens, about Albanian immigrants in the land of sun, shrimp, and calamari. I'm enjoying this new book but, alas and alack, I don't see that any others in the series have been translated. The Laughter of Dead Kings by Elizabeth Peters, set in... you guessed it... Egypt of course. This time thought there is no Amelia Peabody and her brood to brood over along the Nile or among the pyramids. In this book, Peters sets her other heroine, Vicky Bliss, in Amelia's territory, the Valley of the Kings. Art and artifact thieves. Another mystery. Did I mention the non-mystery books about birds in East Africa and gardens in Peking/Beijing during the 1900s Boxer Rebellion? Armchair sleuthing and armchair travel can be pretty exciting! A funny thing about leafing through that 1926 novel set in China by Louise Jordan Miln, It Happened in Peking, I came upon a description, one of many, of Chinese gardens. Seems an old custom is to have a "friendship wall" in the garden usually made of bamboo - one that visitors and guests can write on, leaving their names or comments. I thought of the Chinese American architect Maya Lin's wall, with all it names, in commemoration. The Vietnam wall in Washington, of course. Wondered if the old Chinese friendship wall in the garden was an inspiration for Maya Lin. 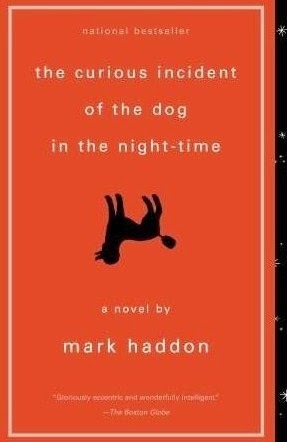 The Curious Incident of the Dog in the Night-time, a novel by Mark Haddon is about an autistic boy who decides to find out who killed a neighbor's dog. It tries to show the world through the eyes of this autistic boy, how he processes information and how he reacts to other people. It's a mystery novel, though. Tried to finish Norway to Hide, a mystery by Mady Hunter set in Scandinavia, but scanned to the end to find out whodunit instead of reading it through. Too many attempts at humor by the author that fell flat. The book lacks the wit of truly funny writers such as Tamar Myers. I have Tamar Myers' Pennsylvania Dutch Mystery, As the World Churns, at my workplace, The Foreigner by Francie Lin in my bedroom (not really, I just have the book), Janet Evanovich's Fearless Fourteen on the downstairs couch, and Kinshu Autumn Brocade by Teru Miyamoto on my desk at home. (These are all books, by the way). The Strangeness of Beauty by Lydia Minatoya turns out to be a very enjoyable book - local Japanese during WWII and the occupation of Japan. How informed and involved were they in the policies of their government? Japanese women formed a peace alliance organization described in this book. Fact of fiction? In any case, the author brings humanity to the residents of a country at war.